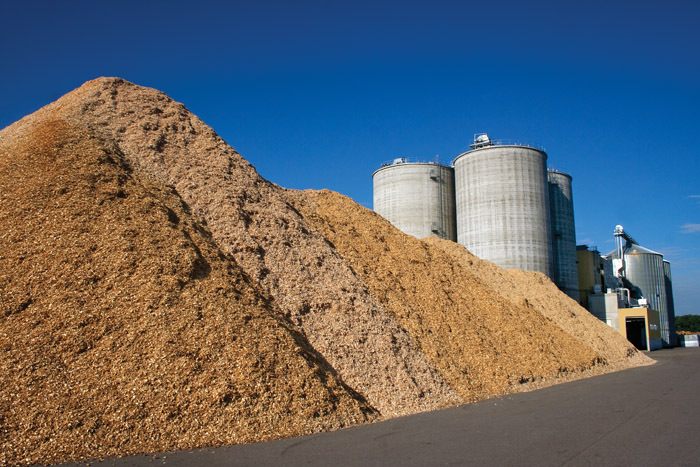 Timber Processing’s October issue spotlights the family-owned Binder mill, which recently opened a sawmill in Germany that is integrating the finest European machinery and systems. Also featured are Washington’s Vaagen Bros. Lumber, which acquired Ponderay Valley Fibre in 2006, and South Dakota’s Neiman Enterprises’ Spearfish Forest Products, which has upgraded its fuel pellet operation. The issue highlights Springer Maschinenfabrik AG, which is a leading manufacturer of machines and systems for the wood processing industry overseas. The Newsfeed section discusses wood fuel in the news, and, as in each issue, the Product Scanner section highlights new products. McShan Lumber Co. hosted a group of government and industry officials from Taiwan at its southern yellow pine sawmill at McShan, Ala. The visit was coordinated through the U.S. Foreign Agricultural Services office in Taipei, Southern Forest Products Assn., Southern Pine Inspection Bureau and American Softwoods. Binder is a family-owned company of six wood product plants, including two sawmills, the rest making laminated products. 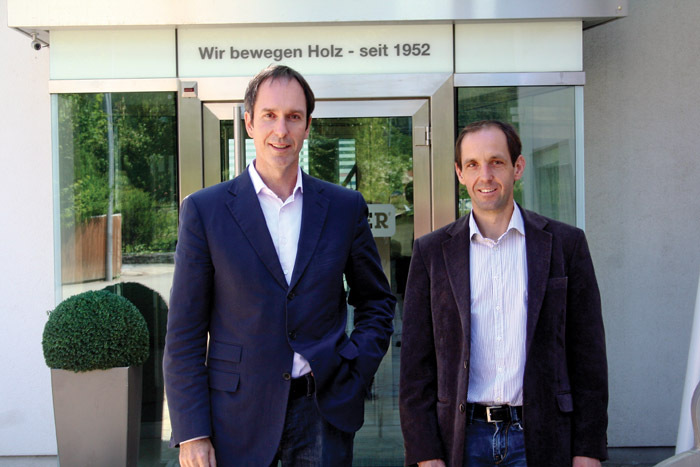 Five of the mills are in Austria, and one is in Germany—Binder­holz Deutschland GmbH. Jörn Kimmich, Managing Director (Geschäftsführer) at Binder’s German mill, says the company’s philosophy is for the sawmills to provide the other plants with the materials needed for the glulam beams, cross-laminated timber and 3-ply sheets. Binder was founded in 1960. Following the timely 2006 acquisition of the Ponderay Valley Fibre combination chip mill and stud mill just 50 miles from the company headquarters in Colville, Wash., Vaagen Bros. Lumber has added to its small log processing arsenal, giving the company more flexibility on products and operations and allowing it to better ride out the current economic downturn. 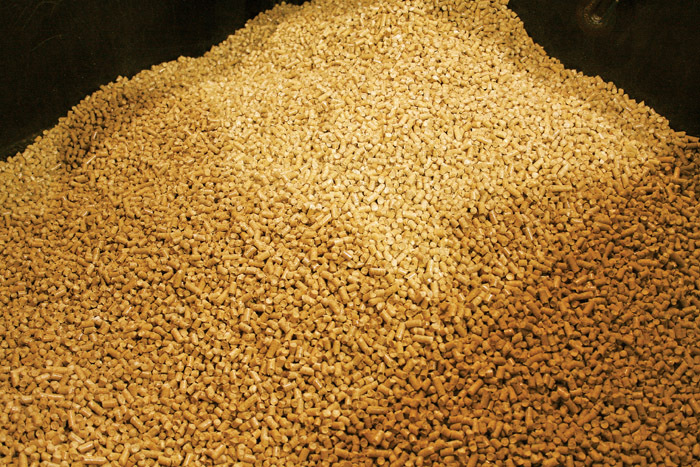 Creating a loyal customer base by producing a consistent quality, high-BTU fuel pellet thanks to a steady supply of 100% pine mill residuals, Spearfish Pellet Co. (SPC) has maintained and improved the Heartland Wood Pellets home heating product since parent company Neiman Enterprises purchased the long-running pellet plant from Pope & Talbot in 2008. Springer Maschinenfabrik AG, which describes itself as “the wood mechanising company,” is an internationally operating family run business. Like many European companies, Springer traces its roots back to the Second World War and its aftermath. At the time, there were several small sawmills around Friesach, Austria, the charming medieval town where Springer is based. Price LogPro has partnered with Dixon Lumber for greater merchandising diversity to restart Dixon Lumber’s southern yellow pine sawmill at Eufaula, Ala. LogPro supplied a complete new log merchandiser system to Dixon Lumber back in the winter and completed a successful startup shortly after delivery. 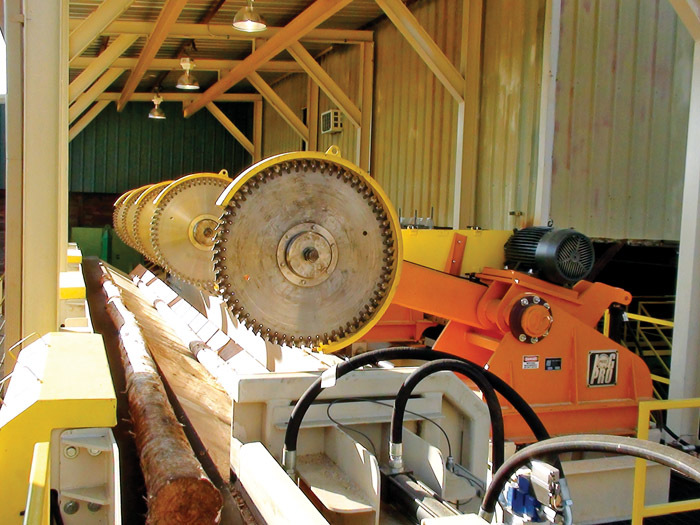 The latest generation of log trimmer technology combines all the necessary components of a modern sawmill wood yard in a very economical and compact system, according to the participants. 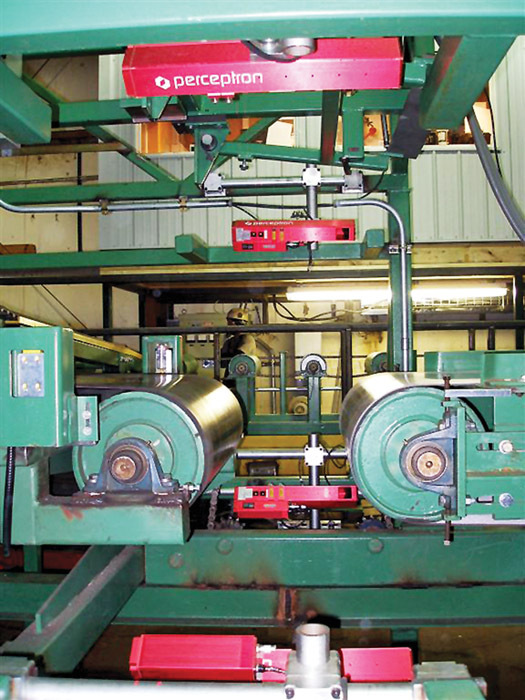 USNR has been designing machinery for hardwood sawmills for more than 100 years and has been developing hardwood optimization products for more than 25 years. 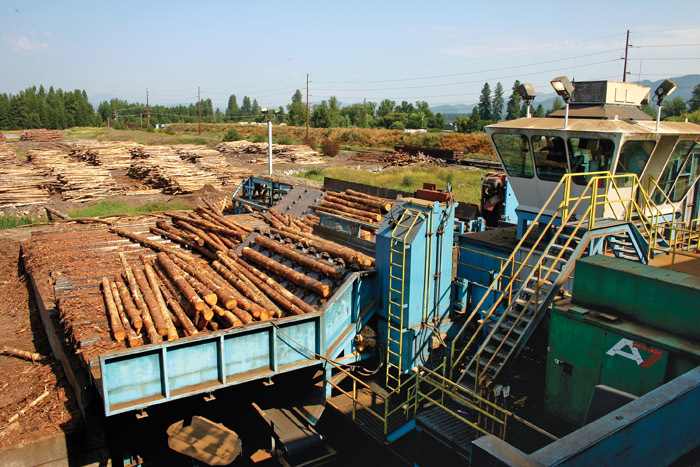 Often mischaracterized as a “softwood solution supplier,” USNR installed the first basic hardwood optimizer in the 1980s and introduced a hardwood focused edger optimizer in the mid ’90s that was designed to maximize the surface area of pieces.